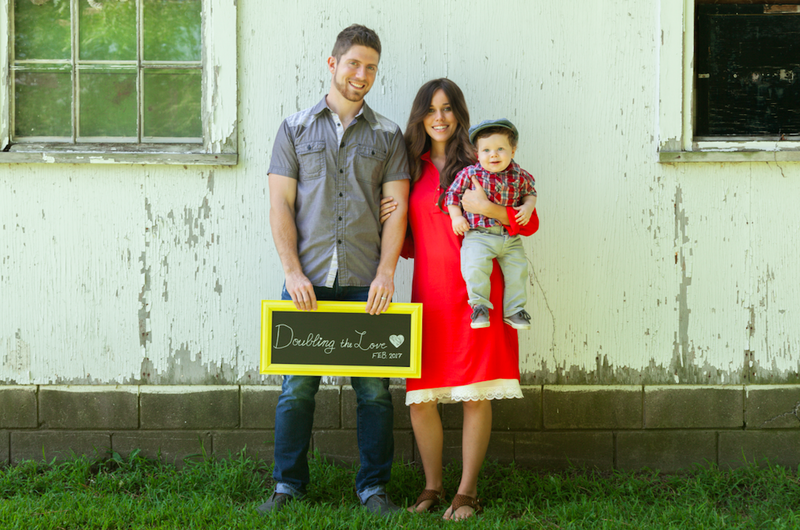 Jessa, Ben, and Spurgeon Seewald take pictures for their birth announcement with photographer Jinger Duggar. 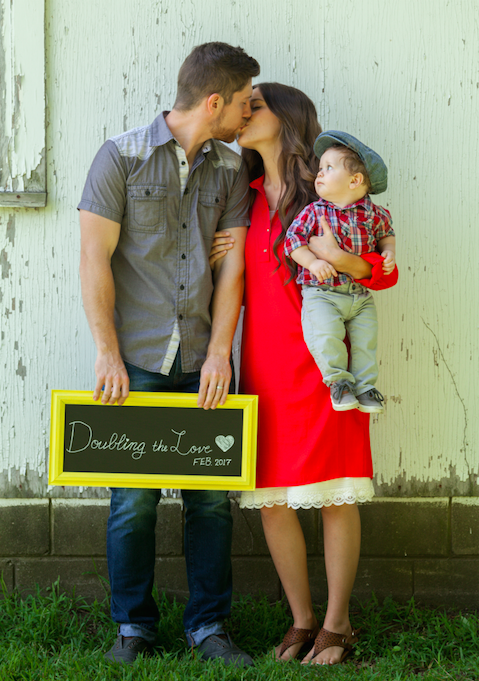 When Jim Bob and Michelle Duggar receive one of the snapshots in a frame, they are both ecstatic. "Are you kidding?!" 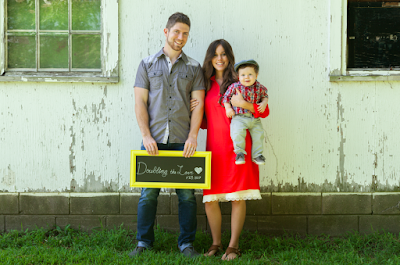 Mama Duggar exclaims. "Oh my goodness!" It takes a few minutes before the younger Duggars understand what's happening, but once everyone has figured it out, they all express their joy. 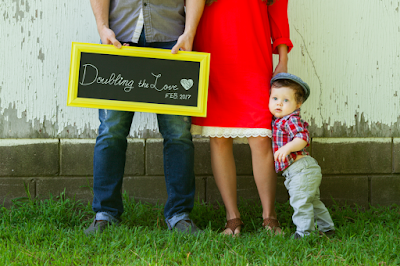 Baby #2 is due February 2nd, 2017, so he/she and Spurgeon will be only 15 months apart. Stay tuned for a possible gender reveal. The Seewalds have not yet decided whether they will share the news or keep it under wraps until the birth like they did with Spurgeon. Very cute. Their baby is due a day before my birthday! I've said it before and I'll say it again. You are the most wonderfully positive person. I have a feeling you are like that about everything, not just the Duggars. God bless! Well Jessa went late with Spurgeon, so maybe you'll get lucky and the baby will arrive on your birthday! Duggar babies come whenever, and if they're very late, the midwife just waits. Was it Jessa or Jill who said she wanted a second so the first wouldn't feel like he was special or like the world revolved around him or something equally strange? Think it was Jill who said that. Nice photo, but this is an "advertisement" for poor or no pre natal care and unnecessarily difficult births. At 14 weeks, she hasn't seen a doctor yet? Hasn't heard a heat beat yet? Please, don't repeat the same laxed decisions made with Spurge. I think some people don't hear the fetal heartbeat at their 12 week prenatal appointment because it's still a little early. Jessa at 14 weeks was probably in between appointments, and probably would've heard the heartbeat at her next appointment. Oooops, sorry I was wrong. Doctors usually can hear the fetal heartbeat between 10 and 12 weeks. So, yes, a little strange that Jessa at 14 weeks hadn't heard it yet. 10:49 am, While I wholeheartedly believe in pre and post natal care, as well as a hospital delivery, I would point out to Jessa that even her mom did hospital deliveries with ALL 19 except two I believe. Regardless, that last photo of little Spurgeon watching his parents kiss is PRICELESS! 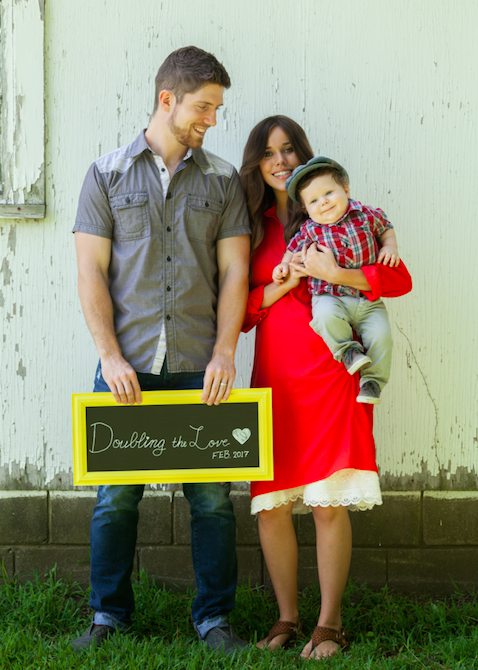 This blog is named ' Duggar Family' but it's mostly about the older girls. Perhaps a blog name change is due or a whole seperate blog on just the older girls. I for one would like to see the WHOLE Duggar family from Grandma to Josie. I even wouldn't mind reading about how Josh is going about changing his life around, that is if he's willing to share it. It doesn't have to be a big long story but just a little update now and then. ( again if he's willing) if not I understand. But the Duggars are a big family and I'd enjoy equal time of all. Not one is more important than the other. Thank you. What did we do before Instagram and Pinterest? Celebrities didn't feel the need to keep us informed of their every move. They didn't seek publicity 24/7. I miss those days. I'm so glad I grew up in simpler, less narcissistic times. Oh how precious! Spurgeon is so cute I just want to pinch those cheeks of his. Congrats to Ben an Jessa! You will be great parents to 2 children. No worries! Congrats!! Her dress is gorgeous! congratulations!! Where did you get that dress?! It's pretty! She probably got it from her sister's closet, after her sister found it at a thrift store and Jana had to sew some lace at the bottom to lengthen it. Everyone says how much Spurgeon looks like his Mommy but you can also see his Daddy in him which will be seen more and more as he gets older. He is beautiful like both his parents. We love all of the Duggar family, and just want to say congratulations on the new baby! I loved the announcement and love watching the show every week. It's always exciting to see what the Duggars are up to. Such a wonderful family! I miss a daily dose of the Duggars. Beautiful family! Spurgeon is sooo cute! Their due date is the same as my oldest daughter's birthday. It's also Ground Hog's Day. At least she has shoes on, unlike Jill at her wedding. The girls probably never saw an issue of Vogue or Cosmo growing up, so they're doing the best they can. Awww! He's adorable! 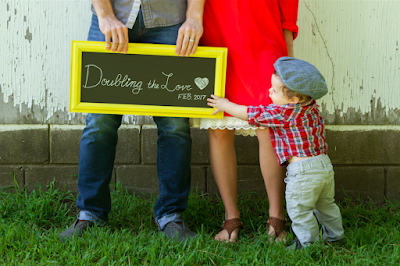 Congratualations to Jessa, Ben, and Spurgeon! New baby is due 5 days before my birthday! Congratulations Jessa and Ben!!! They are quickly becoming my favorite young couple out of the group. Finally a February birthday! Wasn't this the only month they didn't have a birthday in? We have already seen these pictures months ago. 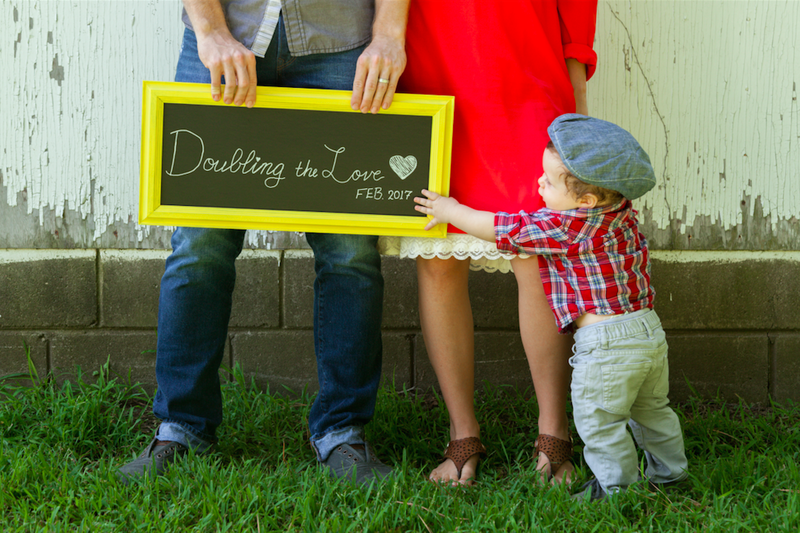 Thanks for sharing your special announcement expecting your second child. Spurgeon is so adorable. I love seeing him on your episodes of Counting On. And loved seeing more of the family. The special comments from some of them were great. Haven't seen James. I trust he is doing well. I have to say that every time I see Spurgeon I think of how much he looks like his mom. Sorry Ben. But kids are known to change as they get older. What a precious little family!!! LOVE them!!! 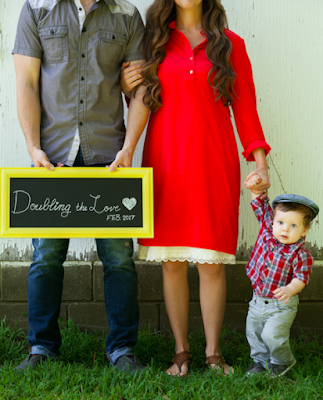 Adorable, sweet little Spurgeon, and Ben and Jessa are such great parents!!! Don't you think it is an insult to all of us police officers out there that you Ben supports a group that celebrates when one of us is hurt or killed. As a result I won't watch any show anymore and neither will my family or any officer I know. You have no idea how painful it was to hear that a 'christian' no longer supports law and order. I wasn't aware that Ben support BLM! Is this true?? ?